Are you looking for a clean marinara sauce? As we all know, sugar can wreak havoc on our bodies, and it seems like it is added in all our food! Store bought marinara sauces almost always have some sort of sugar snuck into them. We want you to still be able to enjoy a classic marinara, free from sugar and other harmful ingredients. 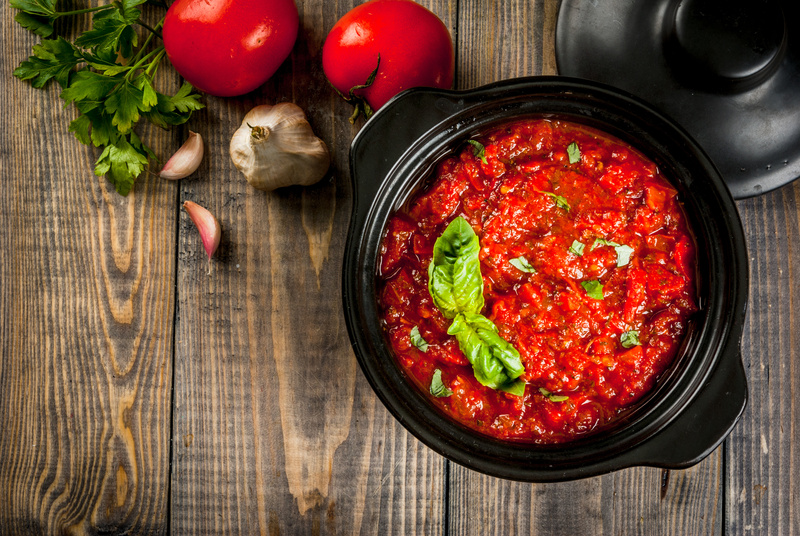 Here’s a recipe for homemade marinara that is Dr. Gala approved. In a medium saucepan, heat 2 tablespoons of olive oil over medium. Add the minced garlic and sauté just until garlic becomes fragrant. Be careful not to burn the garlic. Add the can of crushed tomatoes and dried herbs. Add a little himalayan salt and pepper (to taste). Stir to combine. Reduce heat to low. Cover and let simmer for at least 15 minutes or up to one hour. Remove from heat. Sprinkle in fresh basil and stir. Optional, stir in a few drops of liquid stevia to add some sweetness. You may find you don’t need it! This marinara sauce is great served with zucchini noodles and meatballs! Enjoy.